Researchers at the University of Kansas Medical Centre have proven that high doses of Vitamin C (ascorbic acid), when introduced intravenously into the body, can kill cancer cells, even those in the final third and fourth stages, without it affecting healthy cells. Researchers are calling for this intravenous Vitamin C therapy to be adopted alongside chemotherapy. Of course, we’ve known about this since the 1950’s, when the chemist Linus Pauling proved the very same thing. Linus Pauling was awarded the Nobel Prize for Chemistry in 1954, yet he was ridiculed and his work and research was vilified for many years. However, research undertaken at Universities worldwide, have proven that his research was correct, and large doses of Vitamin C can kill cancer cells. 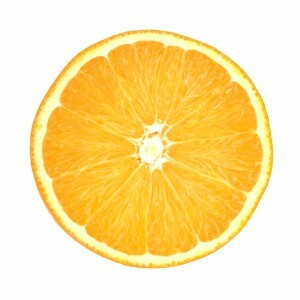 The researchers at the University of Kansas Medical Centre have tested high does of Vitamin C in ovarian cancer patients. For the patients, it made their chemotherapy treatment more tolerable and reduced the toxic effects, whilst in animal and laboratory tests, it singled out cancer cells and killed them. All this supports Linus Pauling’s theory. “Vitamin C can kill cancer cells when intravenously introduced into the body” according to researchers at the University of Kansas. Pharmaceutical companies have no appetite for research into Vitamin C and cancer, due to it being a vitamin, they can’t patent it (make money out of it).